Jeremiah Patterson can be commissioned for painted and/or drawn portraits for personal or corporate collection. 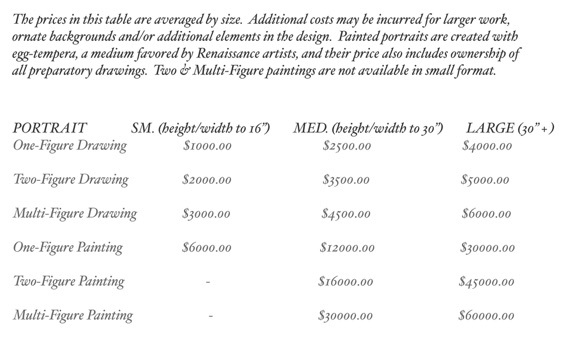 Below are several examples of his portrait work & and an average price scale. Please feel free to contact his studio anytime to discuss your portrait ideas.